Even casual observers of the auto industry will know how highly rated the Ford Fusion is, and that many of its main rivals still fall some way short of the standards set by the sensational Ford. But the Kia Optima is a model that's also extremely well regarded, so let's see which comes out on top in a 2017 Ford Fusion vs 2017 Kia Optima comparison to see if Ford vs Kia can now be seen as a heavyweight championship bout or still something of a mismatch. The first thing most people love about the Fusion is the way it looks, which isn’t surprising considering how sporty the stance is with its fastback outline and sloping roofline. It may have remained largely unchanged for a while now, but it still sets the standard in its class. While most rivals fall short at this first hurdle against the Fusion, the Kia Optima is another midsize that's also famed for its outstanding good looks. The Kia was redesigned last year, and it has to be said the new look isn't an obvious improvement. In fact, it's actually taken a step back in some people's eyes, so this first round of the Fusion vs Optima battle goes to the Ford. There's certainly no lack of choice with the Fusion as there are currently four different engines in the lineup. The base unit is a naturally aspirated 2.5-liter inline-four developing 175 horsepower and 175 lb.-ft. of torque, and then there are three EcoBoost units of 1.5, 2.0 and 2.7-liter displacements. The 2.7-liter EcoBoost is a V-6, and it gives the Fusion 325 horsepower and 380 horsepower to play with. It can hardly be a surprise the Optima has pretty much the same engine lineup as its Hyundai Optima cousin, which is made up of a 2.4-liter inline-four and turbocharged 1.6 and 2.0-liter turbo-fours. There's a little more power available with the Kia's base engine than the Fusion's, but other than that this is another easy win for the Ford. Although not quite top-tier, the safety ratings from the two main agencies are very good for the 2017 Ford Fusion, and there are some very advanced safety features on some models. 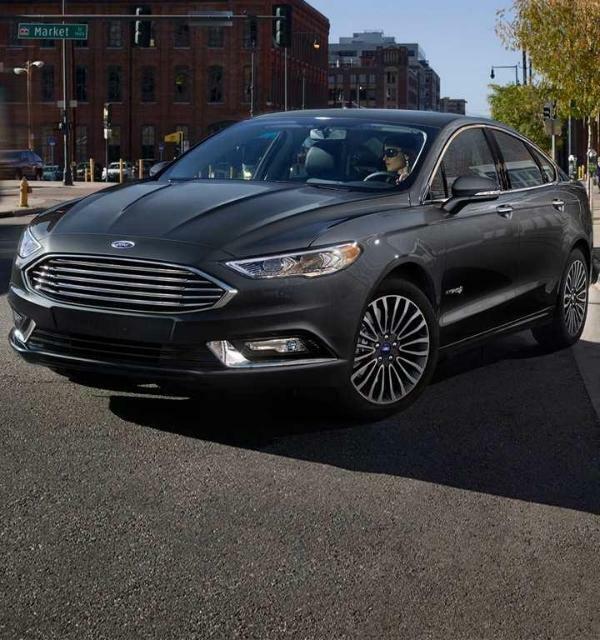 The NHTSA gives the Ford it's full five star rating for overall safety, but the IIHS stops just short of handing the Fusion its top rating so the Ford is rated a Top Safety Pick. It's an almost identical story with the Kia as both the Fusion and the Optima only fail to get the Top Safety Pick+ ratings as their headlights fall just short of what the IIHS considers to be optimal. This round therefore has to be a tie then. If Ford was going to work on one area of the Fusion, its fuel-efficiency might be a good place to concentrate. The EPA ratings of 21 mpg in the city, 32 mpg on the highway and 25 mpg combined are not bad by any means, but they're a long way from being class-leading. The 1.6-liter turbocharged versions of the Optima get the best ratings in the lineup, at 28 mpg in the city 39 mpg on the highway and 32 mpg combined, which hands this section to the Kia by some margin. The 2017 Kia Optima is probably as close as you can get right now to the 2017 Ford Fusion in the mass-market midsize sedan segment, but it's still not as good or as desirable as the Ford. If Kia had made the Optima even more attractive than it was instead of standing still or even taking a step backwards in some people's opinion, it would be even closer to the Fusion than it is. As it is, the Ford is still a good way out in front here. You can check out the 2017 Ford Fusion today at Southern California Ford Dealers, so get in touch now for more information and to schedule a test drive in this sensational model.